"Kingdom of Mary, the Patron of Hungary"
God save, God protect Our Emperor, Our Country! The Kingdom of Hungary was a monarchy in Central Europe that existed from the Middle Ages into the 20th century (1000–1946 with the exception of 1918–1920). The Principality of Hungary emerged as a Christian kingdom upon the coronation of the first king Stephen I at Esztergom around the year 1000; his family (the Árpád dynasty) led the monarchy for 300 years. By the 12th century, the kingdom became a European middle power within the Western world. Due to the Ottoman occupation of the central and southern territories of Hungary in the 16th century, the country was partitioned into three parts: the Habsburg Royal Hungary, Ottoman Hungary, and the semi-independent Principality of Transylvania. The House of Habsburg held the Hungarian throne after the Battle of Mohács until 1918 and also played a key role in the liberation wars against the Ottoman Empire. 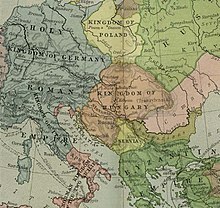 From 1867, territories connected to the Hungarian crown were incorporated into Austria-Hungary under the name of Lands of the Crown of Saint Stephen. The monarchy ended with the deposition of the last king Charles IV in 1918, after which Hungary became a republic. The kingdom was nominally restored during the "Regency" of 1920–46, ending under the Soviet occupation in 1946. 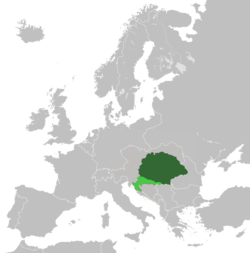 The Kingdom of Hungary was a multiethnic state from its inception until the Treaty of Trianon and it covered what is today Hungary, Poland, Slovakia, Transylvania and other parts of what is now Romania, Carpathian Ruthenia (now part of Ukraine), Vojvodina (now part of Serbia), Burgenland (now part of Austria), and other smaller territories surrounding present-day Hungary's borders. From 1102 it also included Croatia, being in personal union with it, united under the King of Hungary. Today, the feast day of the first king Stephen I (20 August) is a national holiday in Hungary, commemorating the foundation of the state (Foundation Day). The Latin forms Regnum Hungariae or Ungarie (Regnum meaning kingdom); Regnum Marianum (Kingdom of Mary); or simply Hungaria, were the names used in official documents in Latin from the beginning of the kingdom to the 1840s. The German name Königreich Ungarn was used officially from 1784 to 1790 and again between 1849 and the 1860s. The Hungarian name (Magyar Királyság) was used in the 1840s, and then again from the 1860s to 1946. The unofficial Hungarian name of the kingdom was Magyarország, which is still the colloquial, and also the official name of Hungary. The names in the other native languages of the kingdom were: Polish: Królestwo Węgier, Romanian: Regatul Ungariei, Serbian: Kraljevina Ugarska, Croatian: Kraljevina Ugarska, Slovene: Kraljevina Ogrska, Slovak: Uhorské kráľovstvo, and Italian (for the city of Fiume), Regno d'Ungheria. In Austria-Hungary (1867–1918), the unofficial name Transleithania was sometimes used to denote the regions of the Kingdom of Hungary. Officially, the term Lands of the Crown of Saint Stephen was included for the Hungarian part of Austria-Hungary, although this term was also in use prior to that time. The Hungarians led by Árpád settled the Carpathian Basin in 895, established Principality of Hungary (896–1000). The Hungarians led several successful incursions to Western Europe, until they were stopped by Otto I, Holy Roman Emperor in Battle of Lechfeld. The principality was succeeded by the Christian Kingdom of Hungary with the coronation of St Stephen I (son of principal Géza. Originally called Vajk until baptized) at Esztergom on Christmas Day 1000. The first kings of the kingdom were from the Árpád dynasty. He fought against Koppány and in 998, with Bavarian help, defeated him near Veszprém. The Catholic Church received powerful support from Stephen I, who with Christian Hungarians and German knights wanted a Christian kingdom established in Central Europe. Stephen I of Hungary was canonized as a Catholic saint in 1083 and an Orthodox saint in 2000. After his death, a period of revolts and conflict for supremacy ensued between the royalty and the nobles. In 1051 armies of the Holy Roman Empire tried to conquer Hungary, but they were defeated at Vértes Mountain. The armies of the Holy Roman Empire continued to suffer defeats; the second greatest battle was at the town now called Bratislava, in 1052. Before 1052 Peter Orseolo, a supporter of the Holy Roman Empire, was overthrown by king Samuel Aba of Hungary. This period of revolts ended during the reign of Béla I. Hungarian chroniclers praised Béla I for introducing new currency, such as the silver denarius, and for his benevolence to the former followers of his nephew, Solomon. The second greatest Hungarian king, also from the Árpád dynasty, was Ladislaus I of Hungary, who stabilized and strengthened the kingdom. He was also canonized as a saint. Under his rule Hungarians successfully fought against the Cumans and acquired parts of Croatia in 1091. Due to a dynastic crisis in Croatia, with the help of the local nobility who supported his claim, he managed to swiftly seize power in northern parts of the Croatian kingdom (Slavonia), as he was a claimant to the throne due to the fact that his sister was married to the late Croatian king Zvonimir who died childless. However, kingship over all of Croatia would not be achieved until the reign of his successor Coloman. With the coronation of King Coloman as "King of Croatia and Dalmatia" in Biograd in 1102, the two kingdoms of Croatia and Hungary were united under one crown. 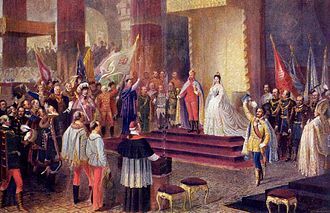 Although the precise terms of this relationship became a matter of dispute in the 19th century, it is believed that Coloman created a kind of personal union between the two kingdoms. The nature of the relationship varied through time, Croatia retained a large degree of internal autonomy overall, while the real power rested in the hands of the local nobility. Modern Croatian and Hungarian historiographies mostly view the relations between Kingdom of Croatia (1102–1526) and Kingdom of Hungary from 1102 as a form of a personal union, i.e. that they were connected by a common king. Also, one of the greatest Hungarian jurists and statesmen of the 16th century, István Werbőczy in his work Tripartitum treats Croatia as a kingdom separate to Hungary. In 1222 Andrew II of Hungary issued the Golden Bull which laid down the principles of law. In 1241, Hungary was invaded by the Mongols and while the first minor battles with Subutai's vanguard probes ended in seeming Hungarian victories, the Mongols finally destroyed the combined Hungarian and Cuman armies at the Battle of Muhi. In 1242, after the end of the Mongol invasion, numerous fortresses to defend against future invasion were erected by Béla IV of Hungary. In gratitude, the Hungarians acclaimed him as the "Second Founder of the Homeland", and the Hungarian Kingdom again became a considerable force in Europe. In 1260 Béla IV lost the War of Babenberg Succession, his army was defeated at the Battle of Kressenbrunn by the united Bohemian forces. However, in 1278 Ladislaus IV of Hungary and Austrian troops fully destroyed the Bohemian army at the Battle on the Marchfeld. The Árpád dynasty died out in 1301 with the death of Andrew III. 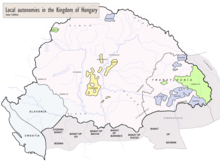 Subsequently, Hungary was ruled by the Angevins until the end of the 14th century, and then by several non-dynastic rulers - notably Sigismund, Holy Roman Emperor and Matthias Corvinus - until the early 16th century. When Andrew III's predecessor, Ladislaus IV, was assassinated in 1290, another nobleman was set up as titular King of Hungary: Charles Martel of Anjou. Charles Martel was the son of King Charles II of Naples and Mary of Hungary, the sister of Ladislaus IV. However, Andrew III took the crown for himself, and ruled without inconvenience after Charles Martel's death in 1295. Upon Andrew's death in 1301, the throne was claimed by Charles Martel's son, Charles Robert. After a period of instability, he was finally crowned King Charles I in 1310. He implemented considerable economic reforms, and defeated the remaining nobility who were in opposition to royal rule, led by Máté Csák III. The kingdom of Hungary reached an age of prosperity and stability under Charles I. The gold mines of the Kingdom were extensively worked and soon Hungary reached a prominent standing in European gold production. The forint was introduced as a currency, replacing the denars, and soon after Charles's reforms were implemented, the economy of the Kingdom started to prosper again, having fallen into a parlous state following the Mongol invasion. Charles exalted the cult to Saint Ladislaus I, using him as a symbol of bravery, justice and purity. He also venerated his uncle, Saint Louis of Toulouse. On the other hand, he gave importance to the cults of the princesses Saint Elizabeth and Saint Margaret, which added relevance to the lineage inheritance through the feminine branches. Charles restored the royal power which had fallen into feudal lords' hands, and then made the lords swear loyalty to him. For this, he founded in 1326 the Order of Saint George, which was the first secular chivalric order in the world, and included the most important noblemen of the Kingdom. Charles married four times. His fourth wife was Elizabeth, the daughter of Władysław I of Poland. When Charles died in 1342, his eldest son by Elizabeth succeeded him as Louis I. In the first years of his reign, Louis was advised closely by his mother, making her one of the most influential personalities in the Kingdom. Charles had arranged the marriage of his second son, Andrew, with his cousin Joanna, the granddaughter of King Robert of Naples, in 1332. Robert died in 1343, bequeathing his kingdom to Joanna but excluding the claim of Andrew. In 1345, a group of noble Neapolitan conspirators murdered Andrew at Aversa. Almost immediately, Louis declared war on Naples, conducting a first campaign in 1347–1348 and a second in 1350. He eventually signed a peace with Joanna in 1352. Louis also waged wars against the Serbian Empire and the Golden Horde, restoring the Hungarian monarchs' authority over territories along the frontiers which had been lost during the previous decades. In 1370 Louis's uncle, Casimir III of Poland, died without male issue. Louis succeeded him, thus establishing the first union of Hungary and Poland. This lasted until 1382, when Louis himself died without male issue; his two daughters, Mary and Jadwiga, then ascended the thrones of Hungary and Poland respectively. 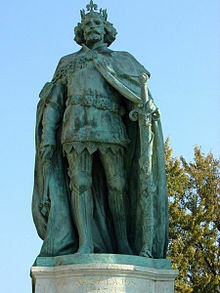 Louis I of Hungary always kept good and close relationships with the Holy Roman Emperor Charles IV of Luxembourg and finally proclaimed Charles's son Sigismund of Luxembourg to succeed him as King of Hungary. Sigismund became a renowned king who created many improvements in the Hungarian law system and who rebuilt the palaces of Buda and Visegrád. He brought materials from Austria and Bohemia and ordered the creation of the most luxurious building in all central Europe. In his laws can be seen the traces of the early mercantilism. He worked hard to keep the nobility under his control. A great part of his reign was dedicated to the fight with the Ottoman Empire, which started to extend its frontiers and influence to Europe. 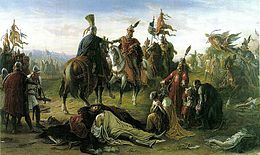 In 1396 was fought the Battle of Nicopolis against the Ottomans, which resulted in a defeat for the Hungarian-French forces led by Sigismund and Philip of Artois, Count of Eu. However, Sigismund continued to successfully contain the Ottoman forces outside of the Kingdom for the rest of his life. Losing popularity among the Hungarian nobility, Sigismund soon became victim of an attempt against his rule, and Ladislaus of Anjou-Durazzo (the son of the murdered King of Naples Charles II of Hungary) was called in and crowned. Since the ceremony was not performed with the Hungarian Holy Crown, and in the city of Székesfehérvár, it was considered illegitimate. Ladislaus stayed only few days in Hungarian territory and soon left it, no longer an inconvenience for Sigismund. In 1408 he founded the Order of the Dragon, which included the most of the relevant monarchs and noblemen of that region of Europe in that time. This was just a first step for what was coming. In 1410 he was elected King of the Romans, making him the supreme monarch over the German territories. 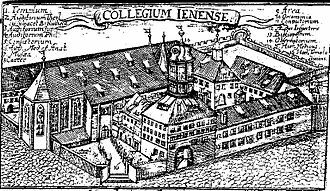 He had to deal with the Hussite movement, a religious reformist group that was born in Bohemia, and he presided at the Council of Constance, where the theologist founder Jan Hus, was judged. 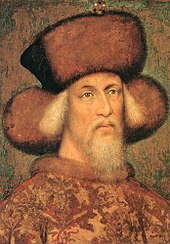 In 1419 Sigismund inherited the Crown of Bohemia after the death of his brother Wenceslaus of Luxembourg, obtaining the formal control of three medieval states, but he struggled for control of Bohemia until the peace agreement with the Hussites and his coronation in 1436. In 1433 was crowned as Holy Roman Emperor by the Pope and ruled until his death in 1437, leaving as his only heir his daughter Elizabeth of Luxembourg and her husband. The marriage of Elizabeth was arranged with the Duke Albert V of Austria, who was later crowned as King Albert of Hungary in 1437. The Hungarian kingdom's golden age was during the reign of Matthias Corvinus (1458–1490), the son of John Hunyadi. His nickname was "Matthias the Just". He further improved the Hungarian economy and practised astute diplomacy in place of military action whenever possible. Matthias did undertake campaigning when necessary. From 1485 until his death, he occupied Vienna, aiming to limit the influence and meddling of the Holy Roman Empire in Hungary's affairs. Matthias died without legitimate heir, and was thus succeeded by Vladislaus II Jagiellon (1490–1516), the son of Casimir IV of Poland. In turn, Vladislaus was succeeded by his son Louis II (1516–26). At the time of the initial Ottoman encroachment, the Hungarians successfully resisted conquest. John Hunyadi was leader of the Crusade of Varna, in which the Hungarians tried to expel the Turks from the Balkans. Initially, they were successful, but later at the Battle of Varna, the Ottomans won a decisive if Pyrrhic victory. 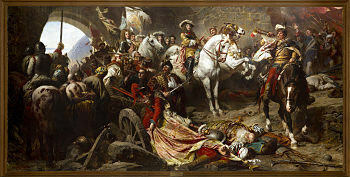 Wladyslaw III was decapitated during this battle. In 1456, John Hunyadi delivered a crushing defeat of the Ottomans at the Siege of Belgrade. The Noon Bell commemorates the fallen Christian warriors. In the 15th century, the Black Army of Hungary was a modern mercenary army, with the Hussars the most skilled troops of the Hungarian cavalry. In 1479, under the leadership of Pál Kinizsi, the Hungarian army destroyed the Ottoman and Wallachian troops at the Battle of Breadfield. The army of Hungary destroyed its enemies almost every time when Matthias was king. In 1526, at the Battle of Mohács, the forces of the Ottoman Empire led by Suleiman I, annihilated the Hungarian army. In trying to escape, Louis II drowned in the Csele Creek. The leader of the Hungarian army, Pál Tomori, also died in the battle. Due to a serious defeat by the Ottomans (Battle of Mohács) the central authority collapsed. The majority of Hungary's ruling elite elected John Zápolya (10 November 1526). A small minority of aristocrats sided with Ferdinand I, Holy Roman Emperor, who was Archduke of Austria, and was related to Louis by marriage. Due to previous agreements that the Habsburgs would take the Hungarian throne if Louis died without heirs, Ferdinand was elected king by a rump diet in December 1526. Royal Hungary, which consisted of northern and western territories where Ferdinand I was recognized as king of Hungary. This part is viewed as defining the continuity of the Kingdom of Hungary. The territory along with Ottoman Hungary suffered greatly from the nearly constant wars taking place. Ottoman Hungary The Great Alföld (i.e. most of present-day Hungary, including south-eastern Transdanubia and the Banat), partly without north-eastern present-day Hungary. 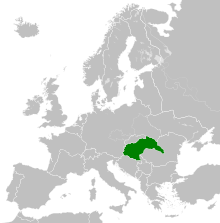 Eastern Hungarian Kingdom under the Szapolyai. Note that this territory, often under Ottoman influence, was different from Transylvania proper and included various other territories sometimes referred to as Partium. Later the entity was called Principality of Transylvania. The Battle of Buda (1686): Hungarians and the Holy League (1684) reconquer Buda. On 29 February 1528, King John I of Hungary received the support of the Ottoman Sultan. A three-sided conflict ensued as Ferdinand moved to assert his rule over as much of the Hungarian kingdom as he could. By 1529 the kingdom had been split into two parts: Habsburg Hungary and the "eastern-Kingdom of Hungary". At this time there were no Ottomans on Hungarian territories, except Srem's important castles. In 1532, Nikola Jurišić defended Kőszeg and stopped a powerful Ottoman army. By 1541, the fall of Buda marked a further division of Hungary into three areas. The country remained divided until the end of the 17th century. In the following centuries there were numerous attempts to push back the Ottoman forces, such as the Long War or Thirteen Years' War (29 July 1593 – 1604/11 November 1606) led by a coalition of Christian forces. In 1644 the Winter Campaign by Miklós Zrínyi burnt the crucial Suleiman Bridge of Osijek in eastern Slavonia, interrupting a Turkish supply line in Hungary. At the Battle of Saint Gotthard (1664), Austrians and Hungarians defeated the Turkish army. After the Ottoman siege of Austria failed in 1683, the Habsburgs went on the offensive against the Turks. By the end of the 17th century, they managed to invade the remainder of the historical Kingdom of Hungary and the principality of Transylvania. For a while in 1686, the capital Buda was again free from the Ottoman Empire, with the aid of other Europeans. Rákóczi's War for Independence (1703–1711) was the first significant freedom fight in Hungary against absolutist Habsburg rule. It was fought by a group of noblemen, wealthy and high-ranking progressives who wanted to put an end to the inequality of power relations, led by Francis II Rákóczi (II. Rákóczi Ferenc in Hungarian). Its main aims were to protect the rights of the different social orders, and to ensure the economic and social development of the country. Due to the adverse balance of forces, the political situation in Europe and internal conflicts the freedom fight was eventually suppressed, but it succeeded in keeping Hungary from becoming an integral part of the Habsburg Empire, and its constitution was kept, even though it was only a formality. After the departure of the Ottomans, the Habsburgs dominated the Hungarian Kingdom. The Hungarians' renewed desire for freedom led to Rákóczi's War for Independence. The most important reasons of the war were the new and higher taxes and a renewed Protestant movement. Rákóczi was a Hungarian nobleman, son of the legendary heroine Ilona Zrínyi. He spent a part of his youth in Austrian captivity. The Kurucs were troops of Rákóczi. Initially, the Kuruc army attained several important victories due to their superior light cavalry. Their weapons were mostly pistols, light sabre and fokos. At the Battle of Saint Gotthard (1705), János Bottyán decisively defeated the Austrian army. The Hungarian colonel Ádám Balogh nearly captured Joseph I, the King of Hungary and Emperor of Austria. In 1708, the Habsburgs finally defeated the main Hungarian army at Battle of Trencsén, and this diminished the further effectiveness of the Kuruc army. While the Hungarians were exhausted by the fights, the Austrians defeated the French army in the War of the Spanish Succession. They could send more troops to Hungary against the rebels. Transylvania became part of Hungary again starting at the end of the 17th century, and was led by governors. Ethnographic map of Hungary without Croatia and Slavonia (1910). The population of areas under 20 persons/km2 is represented in the nearest area above that level, and the area is left blank. In 1711, Austrian Emperor Charles VI became the next ruler of Hungary. Throughout the 18th century, the Kingdom of Hungary had its own diet (parliament) and constitution, but the members of the Governor's Council (Helytartótanács, the office of the palatine) were appointed by the Habsburg monarch, and the superior economic institution, the Hungarian Chamber, was directly subordinated to the Court Chamber in Vienna. The Hungarian language reform started under the reign of Joseph II. The reform age of Hungary was started by István Széchenyi a Hungarian noble, who built one of the greatest bridges of Hungary, the Széchenyi Chain Bridge. The official language remained Latin until 1836, when Hungarian was introduced. Between 1844 and 1849, and from 1867 onward, Hungarian became the exclusively used official language. The European revolutions of 1848 swept into Hungary, as well. The Hungarian Revolution of 1848 sought to redress the long suppressed desire for political change, namely independence. The Hungarian National Guard was created by young Hungarian patriots in 1848. In literature, this was best expressed by the greatest poet of the revolution, Sándor Petőfi. As war broke out with Austria, Hungarian military successes, which included the campaigns of the Hungarian general, Artúr Görgey, forced the Austrians on the defensive. One of the most famous battles of the revolution, the Battle of Pákozd, was fought on 29 September 1848, when the Hungarian revolutionary army led by Lieutenant-General János Móga defeated the troops of the Croatian Ban Josip Jelačić. Fearing defeat, the Austrians pleaded for Russian help. The combined forces of the two empires quelled the revolution. The desired political changes of 1848 were again suppressed until the Austro-Hungarian Compromise of 1867. Following the Austro-Hungarian Compromise of 1867, the Habsburg Empire became the "dual monarchy" of Austria-Hungary. The Austro-Hungarian economy changed dramatically during the existence of the Dual Monarchy. Technological change accelerated industrialization and urbanization. The capitalist way of production spread throughout the Empire during its fifty-year existence and obsolete medieval institutions continued to disappear. By the early 20th century, most of the Empire began to experience rapid economic growth. The GNP per capita grew roughly 1.45% per year from 1870 to 1913. That level of growth compared very favorably to that of other European nations such as Britain (1.00%), France (1.06%), and Germany (1.51%). The lands of the Hungarian Crown (comprising the Kingdom of Hungary proper, into which Transylvania was fully incorporated, and the Kingdom of Croatia–Slavonia, which maintained a distinct identity and a certain internal autonomy) were granted equal status with the rest of the Habsburg monarchy. Each of the two states comprising Austria-Hungary exercised considerable independence, with certain institutions, notably the reigning house, defence, foreign affairs, and finances for common expenditures, remaining under joint management. This arrangement lasted until 1918, when the Central Powers went down in defeat in World War I. The Hungarian Soviet Republic or Hungarian Republic of Councils (Hungarian: Magyarországi Tanácsköztársaság or Magyarországi Szocialista Szövetséges Tanácsköztársaság) was a short-lived independent communist state established in Hungary. It lasted only from 21 March until 1 August 1919. The state was led by Béla Kun and was not recognized by France, the UK or the US. It was the second socialist state in the world to be formed after the October Revolution in Russia brought the Bolsheviks to power. The Hungarian Republic of Councils had military conflicts with the Kingdom of Romania (see Hungarian–Romanian War), the Kingdom of Serbs, Croats and Slovenes and the evolving Czechoslovakia. 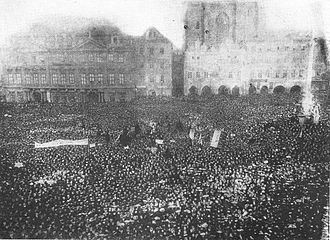 It collapsed on 1 August 1919 when Hungarians sent representatives to negotiate their surrender to the Romanian forces and Béla Kun, together with other high-ranking Communists, fled to Austria. A 1919 attempt to form a federation with the Kingdom of Romania also failed, when the Romanian King ultimately refused to accept the Hungarian Crown. After the pullout of occupation forces of Romania in 1920 the country went into civil conflict, with Hungarian anti-communists and monarchists purging the nation of communists, leftists and others by whom they felt threatened. On February 29, 1920, after the pullout of the last of the Romanian occupation forces, the Kingdom of Hungary was restored, a coalition of right-wing political forces united and reinstated Hungary's status as a constitutional monarchy. Selection of the new King was delayed due to civil infighting, and a regent was appointed to represent the monarchy, former Austro-Hungarian navy admiral Miklós Horthy. The Treaty of Trianon: Hungary lost 72% of its territory, its sea access, half of its 10 biggest cities and all of its precious metal mines; 3,425,000 ethnic Hungarians found themselves separated from their motherland. The new borders set in 1920 by the Treaty of Trianon ceded 72% of the territory of the Kingdom of Hungary to the neighbouring states. The main beneficiaries were Romania, the newly formed states of Czechoslovakia, and the Kingdom of Serbs, Croats and Slovenes, but Austria, Poland and Italy also gained smaller territories. The areas that were allocated to neighbouring countries in total (and each of them separately) possessed a majority of non-Hungarian population, but more than 3.3 million ethnic Hungarians were left outside the new borders of Hungary. Many[who?] view this as contrary to the terms laid out by US President Woodrow Wilson's Fourteen Points, which were intended to honour the ethnic makeup of the territories. As President Wilson left the conference to emphasize his disagreement, and because the U.S. Congress did not ratify the treaty, the United States of America and the Kingdom of Hungary signed a separate peace treaty on 29 August 1921. Miklós Horthy was regent of Hungary. The new international borders separated Hungary's industrial base from its sources of raw materials and its former markets for agricultural and industrial products. Hungary lost 84% of its timber resources, 43% of its arable land, and 83% of its iron ore. Furthermore, post-Trianon Hungary possessed 90% of the engineering and printing industry of the Kingdom, while only 11% of timber and 16% iron was retained. In addition, 61% of arable land, 74% of public road, 65% of canals, 62% of railroads, 64% of hard surface roads, 83% of pig iron output, 55% of industrial plants, 100% of gold, silver, copper, mercury and salt mines, and 67% of credit and banking institutions of the prewar Kingdom of Hungary lay within the territory of Hungary's neighbors. As prime minister, Bethlen dominated Hungarian politics between 1921 and 1931. He fashioned a political machine by amending the electoral law, providing jobs in the expanding bureaucracy to his supporters, and manipulating elections in rural areas. Bethlen restored order to the country by giving the radical counterrevolutionaries payoffs and government jobs in exchange for ceasing their campaign of terror against Jews and leftists. 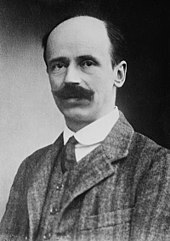 In 1921, he made a deal with the Social Democrats and trade unions (called Bethlen-Peyer Pact), agreeing, among other things, to legalize their activities and free political prisoners in return for their pledge to refrain from spreading anti-Hungarian propaganda, calling political strikes, and organizing the peasantry. Bethlen brought Hungary into the League of Nations in 1922 and out of international isolation by signing a treaty of friendship with Italy in 1927. The revision of the Treaty of Trianon rose to the top of Hungary's political agenda and the strategy employed by Bethlen consisted by strengthening the economy and building relations with stronger nations. Revision of the treaty had such a broad backing in Hungary that Bethlen used it, at least in part, to deflect criticism of his economic, social, and political policies. The Great Depression induced a drop in the standard of living and the political mood of the country shifted further toward the right. In 1932 Horthy appointed a new prime-minister, Gyula Gömbös, who changed the course of Hungarian policy towards closer cooperation with Germany. Gömbös signed a trade agreement with Germany that drew Hungary's economy out of depression but made Hungary dependent on the German economy for both raw materials and markets. On 2 November 1938, as the result of the First Vienna Award parts of Czechoslovakia - Southern Slovakia and a part of Carpathian Ruthenia - were returned to Hungary, an area amounting to 11,927 km2 and a population of 869,299 (86.5% of which were Hungarians according to the 1941 census). Between 5 November and 10 November, Hungarian armed forces peacefully occupied the newly transferred territories. Hitler later promised to transfer all of Slovakia to Hungary in exchange for a military alliance, but his offer was rejected. Instead, Horthy chose to pursue a territorial revision to be decided along ethnic lines. In March 1939, the Czecho-Slovak Republic was dissolved, Germany invaded it, and the Protectorate of Bohemia and Moravia was established. On 14 March, Slovakia declared itself to be an independent state. On 15 March, Carpatho-Ukraine declared itself to be an independent state. Hungary rejected the independence of Carpatho-Ukraine and, between 14 March and 18 March, Hungarian armed forces occupied the rest of Carpathian Ruthenia and ousted the government of Avgustyn Voloshyn. By contrast, Hungary recognized the Nazi puppet state of Slovakia led by the Clerical Fascist Jozef Tiso. In September 1940, with troops massing on both sides of the Hungarian-Romanian border, war was averted by the Second Vienna Award. This award transferred the northern half of Transylvania to Hungary, with a total area of 43,492 km2 and a total population of 2,578,100 with a 53.5% Hungarian majority according to the 1941 census. By dividing Transylvania between Romania and Hungary, Hitler was able to ease tensions in Hungary. In October 1940, the Germans initiated a reciprocity policy between Romania and Hungary which was continued until the end of World War II. The region of Sub-Carpathia was given special autonomous status with the intention that (eventually) it would be self-governed by the Ruthenian minority. After being granted part of southern Czechoslovakia and Subcarpathia by the Germans and Italians in the First Vienna Award of 1938, and then northern Transylvania in the Second Vienna Award of 1940, Hungary participated in their first military maneuvers on the side of the Axis powers in 1941. Thus, the Hungarian army was part of the invasion of Yugoslavia, gaining some more territory and joining the Axis powers in the process. On 22 June 1941, Germany invaded the Soviet Union in Operation Barbarossa. Hungary joined the German effort and declared war on the Soviet Union on 26 June, and entered World War II on the side of the Axis. In late 1941, the Hungarian troops on the Eastern Front experienced success at the Battle of Uman. By 1943, after the Hungarian Second Army suffered extremely heavy losses at the river Don, the Hungarian government sought to negotiate a surrender with the Allies. On 19 March 1944, as a result of this duplicity, German troops occupied Hungary in what was known as Operation Margarethe. By then it was clear that Hungarian politics would be suppressed according to Hitler's intention to hold the country in the war on the side of the Nazi Third Reich because of its strategic location. On 15 October 1944, Horthy made a token effort to disengage Hungary from the war. The Germans launched Operation Panzerfaust and Horthy's regime was replaced by a fascist puppet government under the pro-German Arrow Cross leader Ferenc Szálasi, thus effectively ending the possibility for independent actions in the war. However, the form of government was only changed to a republic two years later. Following its occupation of Hungary in 1944, the Soviet Union imposed harsh conditions allowing it to seize important material assets and control internal affairs. After the Red Army set up police organs to persecute class enemies, the Soviets assumed that the impoverished Hungarian populace would support the communists in the coming elections. The communists fared poorly, receiving only 17% of the vote, resulting in a coalition government under Prime Minister Zoltán Tildy. Soviet intervention, however, resulted in a government that disregarded Tildy, placed communists in important ministries, and imposed restrictive and repressive measures, including banning the victorious Independent Smallholders, Agrarian Workers and Civic Party. In 1945, Soviet Marshal Kliment Voroshilov forced the freely elected Hungarian government to yield the Interior Ministry to a nominee of the Hungarian Communist Party. Communist Interior Minister László Rajk established the ÁVH secret police, which suppressed political opposition through intimidation, false accusations, imprisonment and torture. 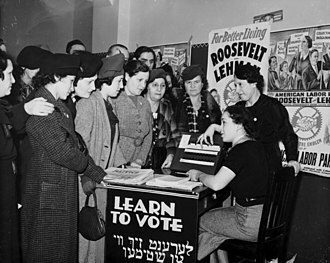 In 1946 the form of government was changed to a republic. Soon after the monarchy was abolished, the Soviet Union pressed Hungarian leader Mátyás Rákosi to take a "line of more pronounced class struggle." What emerged was a communist state lasting until October 23 1956 when the Soviet Russian occupation was swept away by the Hungarian uprising, victorious until November 10 1956. Soviet occupation was restored lasting until 1989 when the Communists agreed to give up their monopoly on power, paving the way for free elections in March 1990. In today's free republic, the Kingdom is regarded as one long stage in the development of the state. This sense of continuity is reflected in the republic's national symbols such as the Holy Crown of Hungary and the Coat of arms of Hungary, which are the same as when the monarchy was still in place. 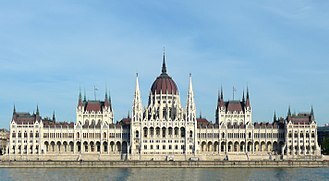 Several holidays, the official language (Hungarian), and the capital city Budapest have also been retained. The official Hungarian name of the country is Magyarország (simply Hungary) since 2012; it was also the common name of the monarchy. 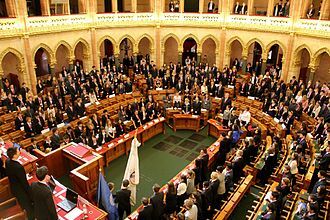 The millennium of the Hungarian statehood was commemorated in 2000 and codified by the Millennium Act of 2000. ^ Adeleye, Gabriel G. (1999). World Dictionary of Foreign Expressions. Ed. Thomas J. Sienkewicz and James T. McDonough, Jr. Wauconda, IL: Bolchazy-Carducci Publishers, Inc. ISBN 0-86516-422-3. 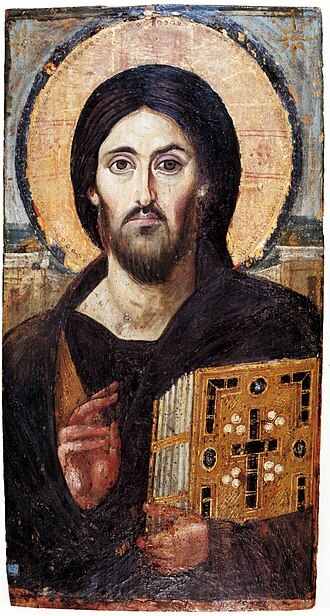 ^ The majority of Hungarian people became Christian in the 10th century. Hungary's first king, Saint Stephen I, took up Western Christianity. Hungary remained solely Catholic until the Reformation took place during the 16th century and, as a result, Lutheranism and then, soon afterwards, Calvinism started to spread. ^ J. C. Russell, “Population in Europe 500-1500,” in The Fontana Economic History of Europe: The Middle Ages, ed. Carlo M. Cipolla (London: Collins/Fontana Books, 1972), p. 25. ^ Kollega Tarsoly, István, ed. (1996). "Magyarország". Révai nagy lexikona (in Hungarian). Volume 21. Budapest: Hasonmás Kiadó. p. 572. ISBN 963-9015-02-4. ^ Élesztős László; et al., eds. (2004). "Magyarország". Révai új lexikona (in Hungarian). Volume 13. Budapest: Hasonmás Kiadó. pp. 882, 895. ISBN 963-9556-13-0. ^ Stickel, Gerhard (1 January 2010). "National, regional and minority languages in Europe: contributions to the annual conference 2009 of EFNIL in Dublin". Peter Lang – via Google Books. ^ "Hungary - history - geography". ^ "Hungary: St. Stephen's Day - office Holidays". ^ Hintersteiner, Norbert (9 February 2017). "Naming and Thinking God in Europe Today: Theology in Global Dialogue". 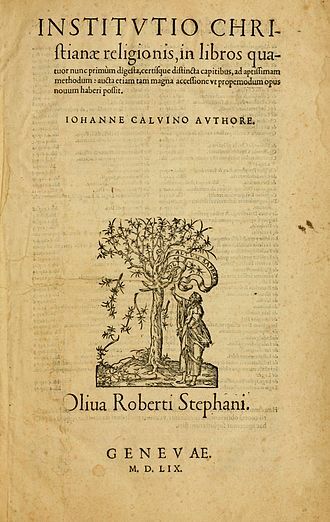 Rodopi – via Google Books. ^ a b "Magyarország geográfiai szótára". ^ A szentek élete I. (szerk. Dr. Diós István), Szent István Társulat, 1984. ^ "Transylvania - region, Romania". ^ "Grand Principality of Transylvania". ^ "1836. évi III. törvénycikk a Magyar Nyelvről". 1000ev.hu. Wolters Kluwer Kft. ^ "A Pallas nagy lexikona "Hivatalos nyelv"". www.mek.iif.hu. Országos Széchenyi Könyvtár - Hungarian Electronic Library. ^ Brecher, Michael; Wilkenfeld, Jonathan (1 January 1997). "A Study of Crisis". University of Michigan Press – via Google Books. ^ "Hungary Hungarian Soviet Republic - Flags, Maps, Economy, Geography, Climate, Natural Resources, Current Issues, International Agreements, Population, Social Statistics, Political System". 2002. ^ Norton, Donald H. (2002). Essentials of European History: 1935 to the Present, p. 47. 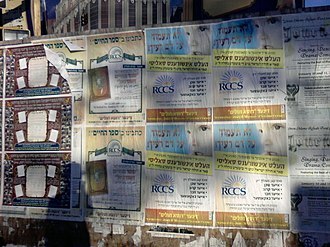 REA: Piscataway, New Jersey. ISBN 0-87891-711-X. Wikimedia Commons has media related to Kingdom of Hungary. Esztergom, is a city in northern Hungary,46 kilometres northwest of the capital Budapest. It lies in Komárom-Esztergom county, on the bank of the river Danube. Esztergom was the capital of Hungary from the 10th till the mid-13th century when King Béla IV of Hungary moved the seat to Buda. 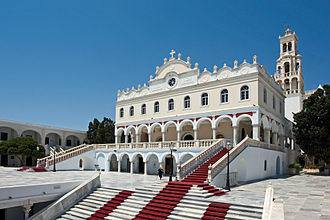 Esztergom is the seat of the prímás of the Roman Catholic Church in Hungary, the city has the Keresztény Múzeum, the largest ecclesiastical collection in Hungary. Its cathedral, Esztergom Basilica is the largest church in Hungary, the Roman town was called Solva. The medieval Latin name Strigonium is usually derived from Slavic, proto-Slavic stregti – to watch, to guard, present participle stregom, strägom – a guard post Similar place names are Strzegom or Střehom. The Hungarians added a vowel in front of the group of consonants. The initial o in Slavic forms could evolve independently from a prepositional form vъ Strägome > vo Strägome > v Osträgome like Slovak Bdokovce > Obdokovce, Psolovce > Obsolovce, another theory is based on the form Estrigun from the 12th century. Proto-Bulgaric estrogin käpe, estrigim küpe - a leather armor, other etymologies are Serbo-Croatian strgun - a tanner or a combination of Ister and Gam referring to the nearby river Hron. The first early medieval mention is ſtrigonensis comes, other names of the town are Croatian Ostrogon, Polish Ostrzyhom, Serbian Ostrogon and Estergon, Slovak Ostrihom and Czech Ostřihom. The German name is Gran, like the German name of river Garam, Esztergom is one of the oldest towns in Hungary. Esztergom, as it existed in the Middle Ages, now rests under todays town, the results of the most recent archeological excavations reveal that the Várhegy and its vicinity have been inhabited since the end of the Ice Age 20,000 years ago. The first people known by name were the Celts from Western Europe, a flourishing Celtic settlement existed on the Varhegy until the region was conquered by Rome. Thereafter it became an important frontier town of Pannonia, known by the name of Salvio Mansio, Salvio, by the seventh century the town was called Stregom and Gran, but soon reverted to the former, which evolved into Esztergom by the thirteenth century. Samuel Aba was the third King of Hungary between 1041 and 1044. He was born to a prominent family with extensive domains in the region of the Mátra Hills, around 1009, Samuel or his father married a sister of Stephen I, the first King of Hungary. Thereafter the originally pagan or Jewish Aba family converted to Christianity, King Stephen appointed Samuel to head the royal court as his palatine. However, the king died in 1038, and the new monarch, Peter the Venetian, the Hungarian lords dethroned Peter in 1041 and elected Samuel king. According to the narration of the Hungarian chronicles, Samuel preferred commoners to noblemen. His execution of many opponents brought him conflict with Bishop Gerard of Csanád. In 1044, Peter the Venetian returned with the assistance of the German monarch, Henry III, Samuel fled from the battlefield but was captured and killed. In contrast, the Illuminated Chronicle and other 14th-century Hungarian chronicles describe Ed, Kristó argues that both Samuels Khazar origin and his first name suggest that he was born to a family that adhered to Judaism. However, historians debate whether Samuel himself or Samuels father married the royal princess. If Samuel was her husband, he must have been born before 990 and his Christian credentials are further evidenced by Samuels establishment of an abbey at Abasár which was recorded by Hungarian chronicles. According to Gyula Kristó and other historians, Samuels conversion coincided with the creation of the Roman Catholic Diocese of Eger encompassing his domains, Samuel held important offices during the reign of King Stephen. Pál Engel proposes that Abaújvár was named after him, implying that he was the first ispán, or head, of that fortress, Samuel was a member of the royal council and became the first palatine of Hungary. The death of King Stephen on 15 August 1038 led to his nephew, Peter Orseolo of Venice, the new monarch preferred his German and Italian courtiers and set aside the native lords, including Samuel. In 1041, discontented Hungarian noblemen expelled King Peter in a coup détat, King Aba became insolent and began to rage cruelly against the Hungarians. The treaty regulated the status of an independent Hungarian state and defined its borders. It left Hungary as a state covering 93,073 square kilometres. Its population was 7.6 million, only 36% of the kingdoms population of 20.9 million. The areas that were allocated to neighbouring countries in total possessed a majority of non-Hungarian population, five of the pre-war kingdoms ten largest cities were drawn into other countries. The treaty limited Hungarys army to 35,000 officers and men, the principal beneficiaries of territorial division of pre-war Kingdom of Hungary were the Kingdom of Romania, the Czechoslovak Republic, and the Kingdom of Yugoslavia. One of the elements of the treaty was the doctrine of self-determination of peoples. In addition, Hungary had to pay war reparations to its neighbours, the treaty was dictated by the Allies rather than negotiated and the Hungarians had no option but to accept its terms. The Hungarian delegation signed the treaty under protest on 4 June 1920 at the Grand Trianon Palace in Versailles, the treaty was registered in League of Nations Treaty Series on 24 August 1921. The modern boundaries of Hungary are the same as those defined by the Treaty of Trianon except for three villages that were transferred to Czechoslovakia in 1947, the Hungarian government terminated its union with Austria on 31 October 1918, officially dissolving the Austro-Hungarian state. The de facto borders of independent Hungary were defined by the ceasefire lines in November–December 1918. On 1 December 1918, the National Assembly of Romanians in Transylvania declared union with the Kingdom of Romania, which became part of Czechoslovakia. That was signed on 6 December 1918, territories of Banat, Bačka and Baranja came under military control of the Kingdom of Serbia and political control of local South Slavs. The Great Peoples Assembly of Serbs and other Slavs from Banat, Bačka, the ceasefire line had a character of temporary international border until the treaty. The city of Fiume was occupied by the Italian Army and its affiliation was a matter of international dispute between the Kingdom of Italy and the Kingdom of Serbs and Slovenes. Himnusz is the official national anthem of Hungary. It was adopted in the 19th century and the first stanza is sung at official ceremonies, the full meaning of the poems text is evident only to those well acquainted with Hungarian history. The lyrics of Himnusz are a prayer beginning with the words Isten, the title in the original manuscript is Hymnus - a Latin word meaning hymn, and one which had no widely used counterpart in the Hungarian language at the time. It is only in specialist usage that it is used in its meaning of hymn in Hungarian. Although Kölcsey completed the poem on 22 January 1823, it was published first in 1829 in Károly Kisfaludys Aurora, without the subtitle. It subsequently appeared in a collection of Kölcseys works in 1832, a competition for composers to make the poem suitable to be sung by the public was staged in 1844 and won by Erkels entry. His version was first performed in the National Theatre in July 1844, in front of an audience on 10 August 1844. By the end of the 1850s it became customary to sing Himnusz at special occasions either alongside Vörösmartys Szózat or on its own. It wasnt until 1989 that Erkels musical adaptation of Himnusz finally gained recognition as Hungarys national anthem. The public radio station Kossuth Rádió plays Himnusz at ten minutes past midnight each day at the close of transmissions in the AM band, Himnusz is traditionally played on Hungarian television at the stroke of midnight on New Years Eve. Traditionally, Himnusz is sung at the beginning of ceremonies, recognition is given to the Rákóczi March, a short wordless piece which is often used on state military occasions, and the poem Nemzeti dal written by Sándor Petőfi. Another popular song is the Székely Himnusz, a national anthem of the Hungarian-speaking Szekler living in Eastern Transylvania. Two English versions are given below, both are free translations of the Hungarian words, since Hungarian is a genderless language, references to the Magyar as he in the English translations are in fact directed to all Hungarians regardless of gender. On May 7,2006, a sculpture was inaugurated for Himnusz at Szarvas Square, Budakeszi and it was created by Mária V.
Ottoman Hungary was the territory of Medieval Hungary which was ruled by the Ottoman Empire from 1541 to 1699. Ottoman rule covered mostly the central and southern territories of the former medieval Kingdom of Hungary as almost the entire region of the Great Hungarian Plain, under the reign of Louis II Jagiellon, internal dissentions divided the nobility. Provoked into war by diplomatic insult, Suleyman the Magnificent attacked the Kingdom of Hungary and he did not hesitate to launch an attack against the weakened kingdom, whose smaller, badly led army was defeated on 29 August 1526 at the Battle of Mohács. Thus he became influential in the Kingdom of Hungary, while his semi-vassal, named John I Zápolya, Suleyman went further and tried to crush Austrian forces, but his siege of Vienna in 1529 failed after the onset of winter forced his retreat. The title of king of Hungary was disputed between Zápolya and Ferdinand until 1540, whereas a great many of the 17,000 and 19,000 Ottoman soldiers in service in the Ottoman fortresses in the territory of present-day Hungary were Orthodox and Muslim Balkan Slavs. Southern Slavs were acting as akıncıs and other light troops intended for pillaging in the territory of present-day Hungary, in these times, territory of present-day Hungary began to undergo changes due to the Ottoman occupation. Vast lands remained unpopulated and covered with woods, the life of the inhabitants on the Ottoman side was unsafe. Peasants fled to the woods and marshes, forming guerrilla bands, the territory of present-day Hungary became a drain on the Ottoman Empire, swallowing much of its revenue into the maintenance of a long chain of border forts. However, some parts of the economy flourished, in the huge unpopulated areas, townships bred cattle that were herded to south Germany and northern Italy - in some years they exported 500,000 head of cattle. Wine was traded to the Czech lands and Poland, following this treaty, the members of the Habsburg dynasty administered much enlarged Habsburg Kingdom of Hungary. In the 1540s the total of the four fortresses of Buda, Pest, Székesfehérvár. The number of Ottoman garrison troops stationed in Ottoman Hungary vary, in 1640 when the front remained relatively quiet,8,000 Janissary supported by an undocumented number of local recruits was sufficient to garrison the whole of the Eyalet of Budin. The territory was divided into Eyalets, which were divided into Sanjaks. At first, Ottoman-controlled territories in present-day Hungary were part of the Budin Eyalet, new eyalets were formed, Temeşvar Eyalet, Zigetvar Eyalet, Kanije Eyalet, Egir Eyalet, and Varat Eyalet. Likewise, Zigetvar and Egir eyalets included parts of present-day Serbia, Slovakia and Sanjak-Beys were responsible for administration and defense. The Ottomans only interest was to secure their hold on the territory, the Sublime Porte became the sole landowner and managed about 20 percent of the land for its own benefit, apportioning the rest among soldiers and civil servants. The Ottoman landlords were interested mainly in squeezing as much wealth from the land as quickly as possible, of major importance to the Sublime Porte was the collection of taxes. The Hungarian Revolution of 1848 was one of the many European Revolutions of 1848 and closely linked to other revolutions of 1848 in the Habsburg areas. The revolution in the Kingdom of Hungary grew into a war for independence from the Austrian Empire, Czar Nicholas I answered, and sent a 200,000 men strong army with 80,000 auxiliary forces. Finally, the joint army of Russian and Austrian forces defeated the Hungarian forces, after the restoration of Habsburg power, Hungary was placed under brutal martial law. The anniversary of the Revolutions outbreak,15 March, is one of Hungarys three national holidays, the Kingdom of Hungary had always maintained a separate parliament, the Diet of Hungary, even after the Austrian Empire was created in 1804. The administration and government of the Kingdom of Hungary remained largely untouched by the government structure of the overarching Austrian Empire, Hungarys central government structures remained well separated from the imperial government. The country was governed by the Council of Lieutenancy of Hungary - located in Pozsony and in Pest -, ignác Martinovics worked as a secret agent for the new Holy Roman Emperor, Leopold II, until 1792. In another of his works, Catechism of People and Citizens, he argued that citizens tend to oppose any repression and he became a Freemason, and was in favour of the adoption of a federal republic in Hungary. As a member of the Hungarian Jacobins, he was considered a forerunner of revolutionary thought by some. He was in charge of stirring up a revolt against the nobility among the Hungarian serfs, for these subversive acts, Francis II, the Holy Roman Emperor, dismissed Martinovics and his boss, Ferenc Gotthardi, the former chief of the secret police. He was executed, together with six other prominent Jacobins, in May 1795, the Diet of Hungary had not convened since 1811. The frequent diets held in the part of the reign occupied themselves with little else but war subsidies. In the latter years of Francis I. the dark shadow of Metternichs policy of stability fell across the kingdom, but beneath the surface a strong popular current was beginning to run in a contrary direction. Hungarian society, not unaffected by western Liberalism, but without any help from abroad, was preparing for the future emancipation. Banski dvori (Ban's Court), the palace of the Ban of Croatia, in Zagreb, today a seat of the Croatian Government. Stephen Bocskay was a Hungarian noble from Transylvania. La Tène Silver hinged brooch found in Székesfehérvár, dating from 1-100 AD (British Museum). Later Gothic St. Anna Chapel built around 1485. A sign of the Unitarian Universalist Association in Rochester, Minnesota. Unitarianism in the English-speaking world largely evolved into a pluralistic liberal religious movement, while retaining its distinctiveness in continental Europe and elsewhere. Koppány's execution after his defeat by Stephen, depicted in the Chronicon Pictum. The Grand Trianon Palace at Versailles is the site of the signing. Bordermark on the Hungarian-Romanian border near Csenger. The National Assembly in Alba Iulia (1 December 1918) – Union of Transylvania with Romania, seen as an act of national liberation by the Transylvanian Romanians. Obverse: Coat of arms of Hungary and "Magyar Népköztársaság" (Hungarian People's Republic). Original sheet music for Himnusz. Grave of Zoltán Tildy and his wife, Erzsébet Gyenis in Budapest. Autograph sketch of "Gott erhalte Franz den Kaiser"